The count down is on. In exactly one month from today I will hopefully be sitting in a tent full of wonderful finished furniture and home decor at the Lucketts fair! And I say “hopefully” with some anxious tenor. Right now I am sitting in my home that is a complete disaster surrounded by a sink full of dishes, piles of laundry and toys covering the floors. Not to mention that my garage is PACKED with furniture that can be described as half-finished and in need of much TLC. Two of my kiddos are home sick today with fevers, but I am actually a little thankful just to be able to stay home and work on things in the mist of caring for their needs. I do not get overwhelmed very easily but I am walking a fine line on that one. I feel like I have so many exciting ideas of how I want the booth to look at Lucketts but just not enough hours in the day to get it all done. I keep praying the same prayer, “God calm my anxious heart.” But I think what God wants me to understand the reason why I am doing the work that I do. And in this my thoughts give me peace. I have always tried to maintain the fact that my decorating business is not to solely make money but to meet people, build relationships, have fun, and do something apart from my children and that serves God. You might ask how a decorating business can serve God’s glory? But I am here to tell you I have been humbled from the amount of people who tell me that read my blog, love my decorating projects, and are amazed at how I get it all done. I am a firm believer that the most powerful way to be a witness to God’s love is to live it through all things in your life. Show it in everything you do. From your daily interactions to the care you take in your every day projects. There is nothing I can do apart from God and not make a complete disaster of it. Believe me I have tried. So with the stress of a deadline approaching, I take heart in the fact that God will give me many opportunities to be a blessing to others. To make a difference. To show love, compassion, and understand. I do not always make the right choices. I get frustrated, say hurtful things, and succumb to the stress of the situation but in the end I have a savior who forgives and allows me to continue the work that I love! These are just some thought I wanted to share with you. Some of you may only look at the pretty pictures and final products, but I wanted to let you know, that for me there are more details behind every beautiful project than that. So take a look at some of the things that we have been working on. 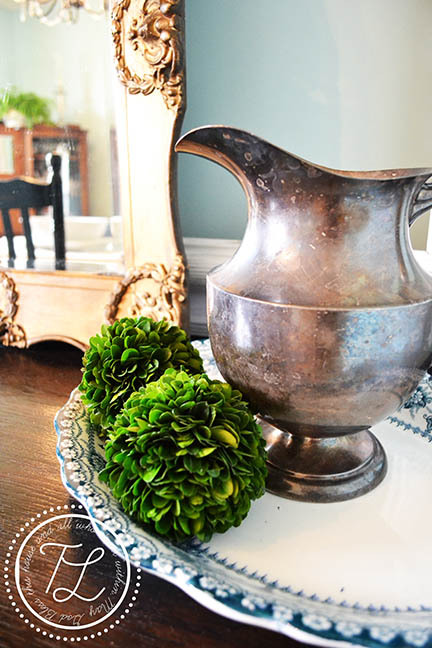 I posted a bunch a pics from the barn sale at Stylish Patina this weekend on my Facebook Page. The booth is PACKED! And the things shown in these pictures will be heading down to Lucketts in just a few weeks! I promised you I would show you Amanda’s beautiful german chair! It looks AMAZING! 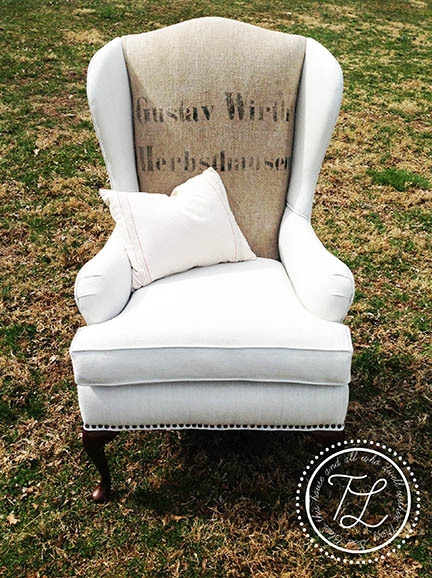 She used vintage German linen and a vintage german grainsack to give it a beautiful look that would work in any decor yet stand out on its own! Hopefully I will have more pics to show you of finished projects! Have a wonderful rest of the week! P.S. You might have noticed my blog has a slightly different look to it. Yes I am working on redesigning my blog, because I don’t already have enough projects to do. Have I mentioned that I don’t like to do one thing at a time! This entry was tagged Lucketts. Bookmark the permalink. Hope everyone feels better soon! Amanda’s chair looks awesome!!!!! Thanks hope you are doing well! 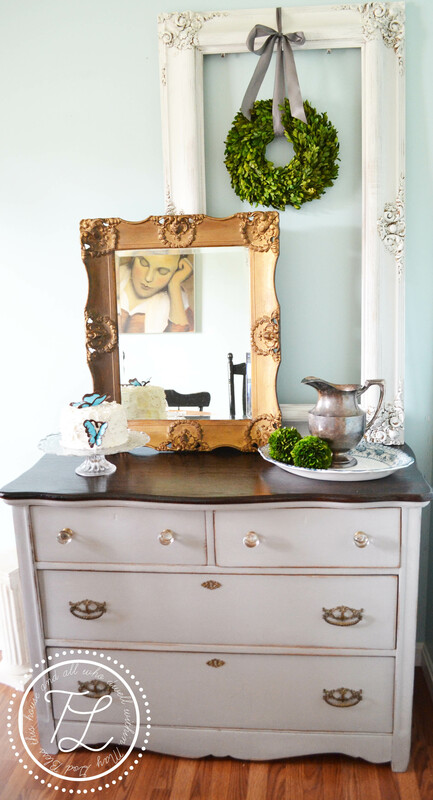 LOVE this new look on the blog! the background is awesome!!! is it a picture you took? because it looks JUST like a door at the barn! and i hear ya- i very much feel like i am doing what i am meant to do… i am able to be a mama first, and have something that sets me apart from that roll, and the blog helps me inspire others. win win! HA! I knew you would notice the background! Yes it is a pic of a door from the barn! I walked around after I was setting up and took tons of texture photos! I just loved the color and the chippiness of this door! You are a total blessing through your work and to me, you are an encourager and your life is full of evidence of your love for the Lord! I’m so sorry the boys are down again. love that wing back! gorgeous job Amanda! can’t wait to see what you ladies have at Lucketts. I chickened out on my own booth but I plan to go shop again!